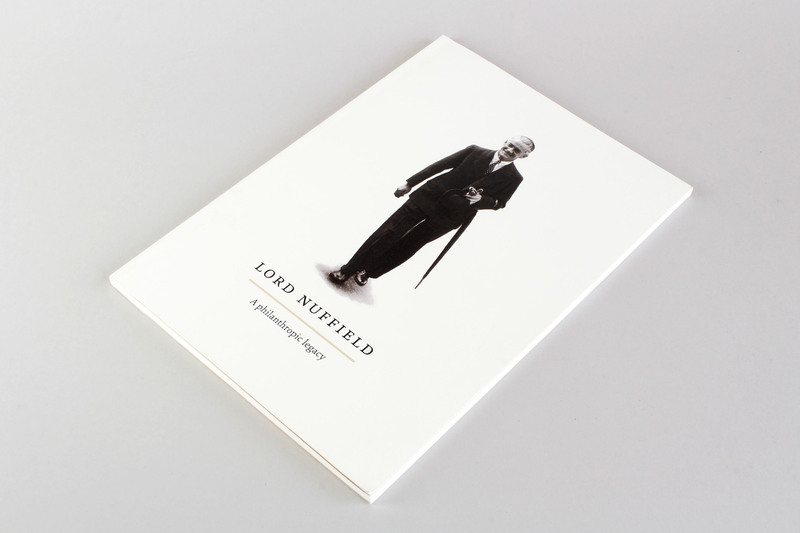 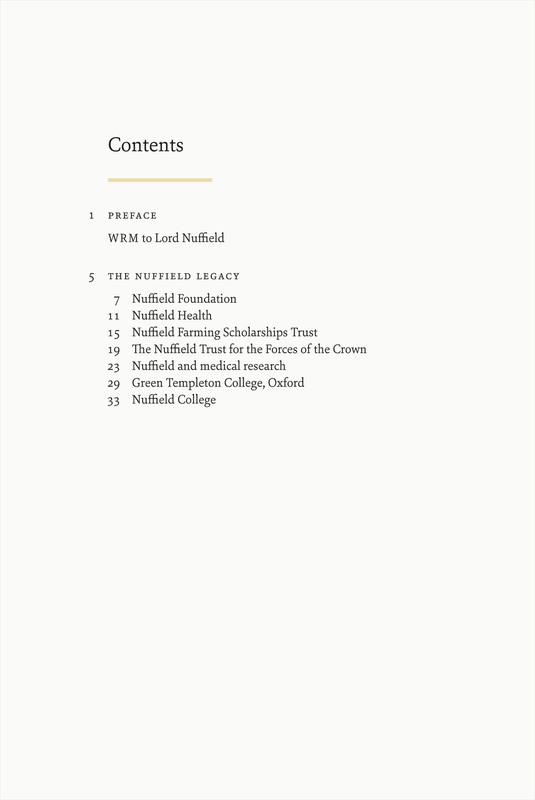 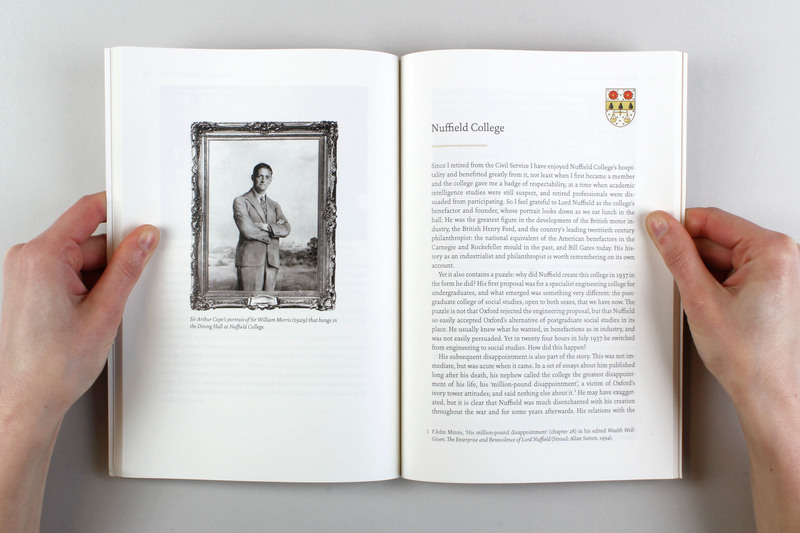 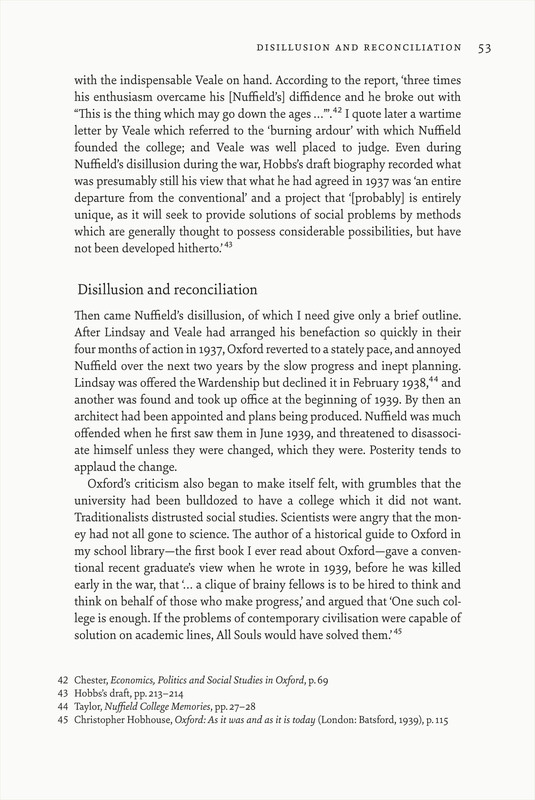 Art direction, book and cover design for Lord Nuffield: A Philanthropic Legacy commissioned by Nuffield College, University of Oxford. 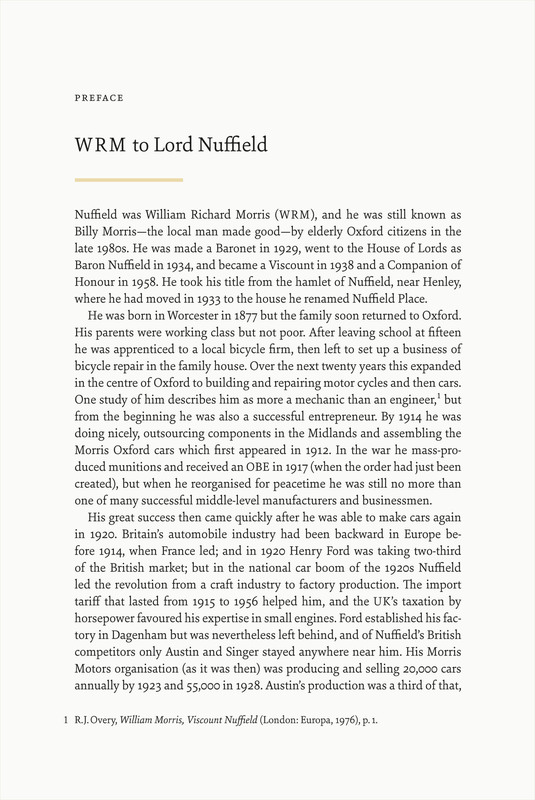 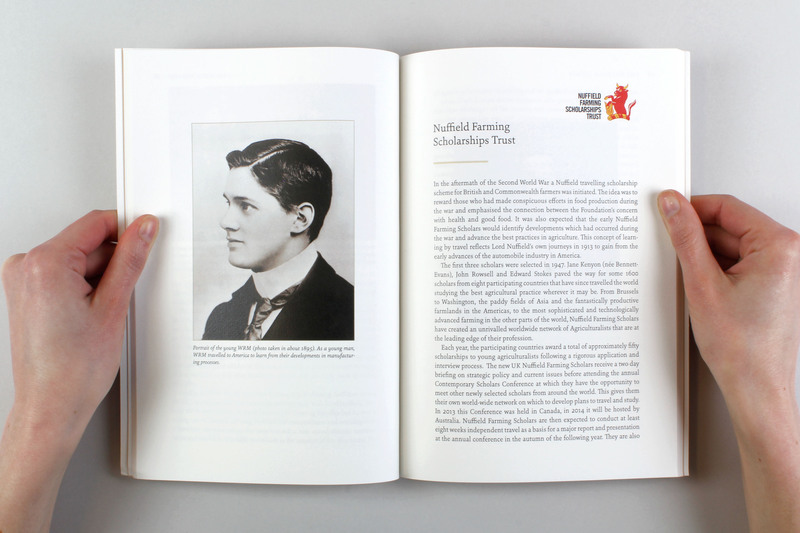 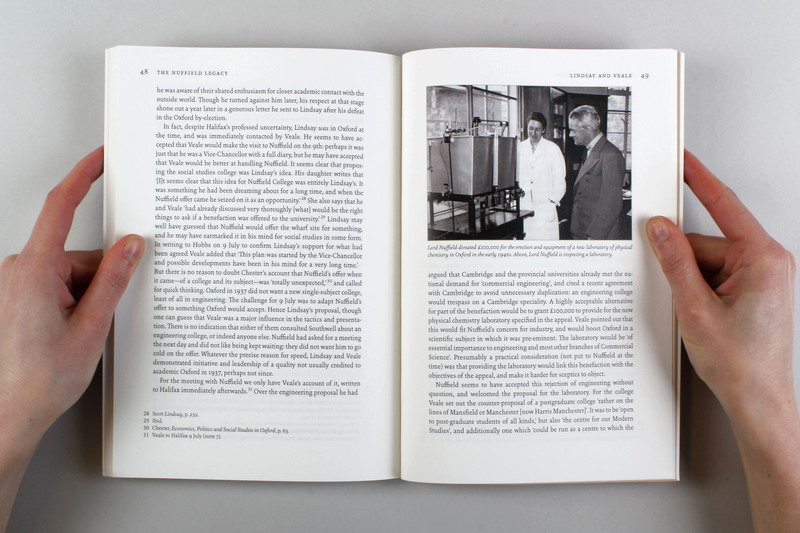 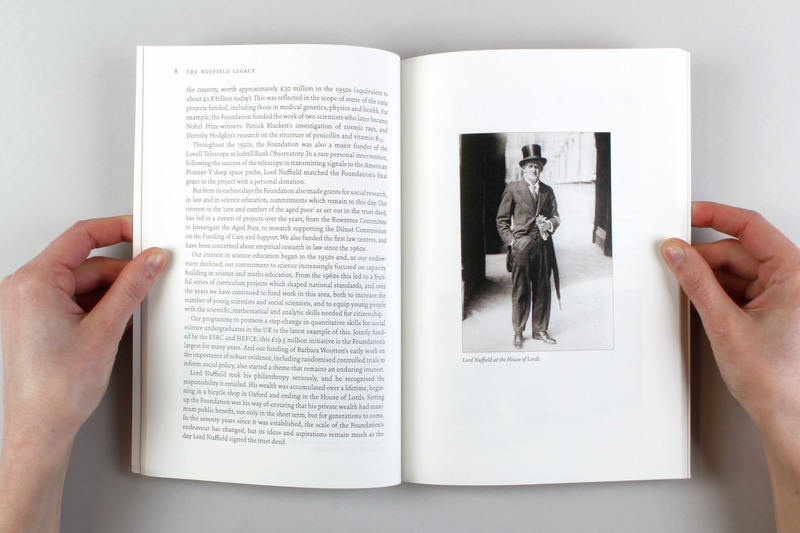 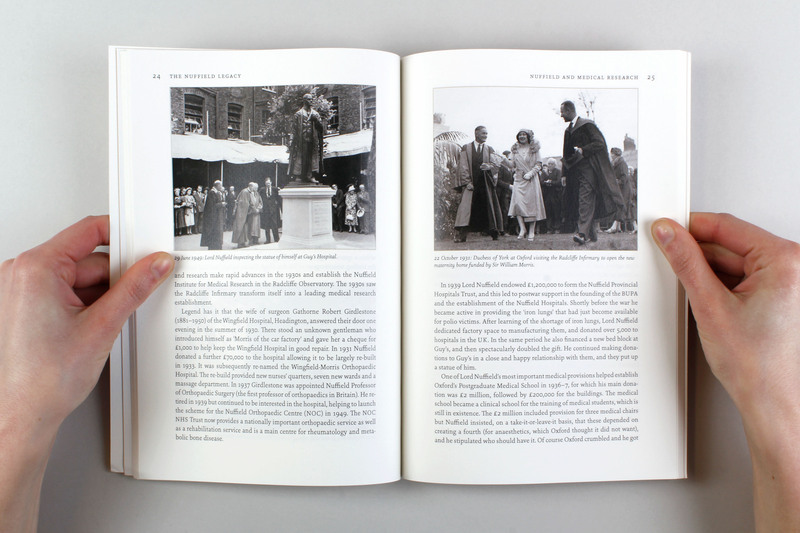 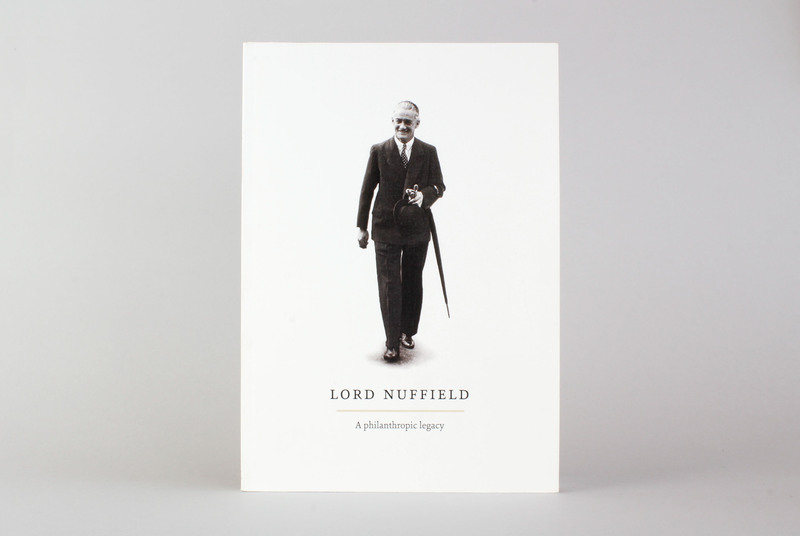 In recognition of the 50th anniversary of his death, the book highlights the philanthropic legacy of Lord Nuffield's historic charitable donations and the ongoing support this provides for educational and health organisations to this day. 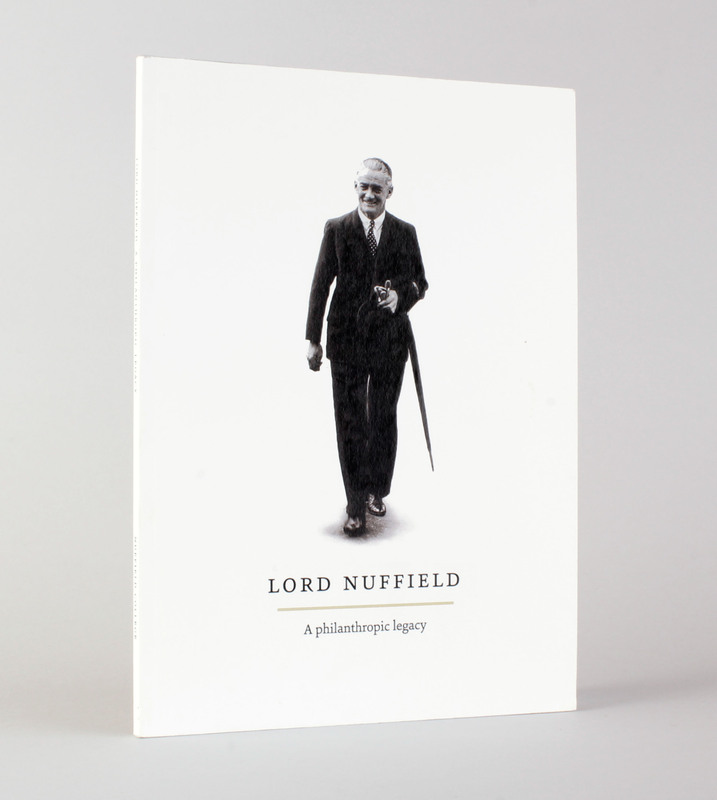 The design needed to pay tribute to this important legacy, but also reflect the human side of the well known and respected figure of british philanthropy. 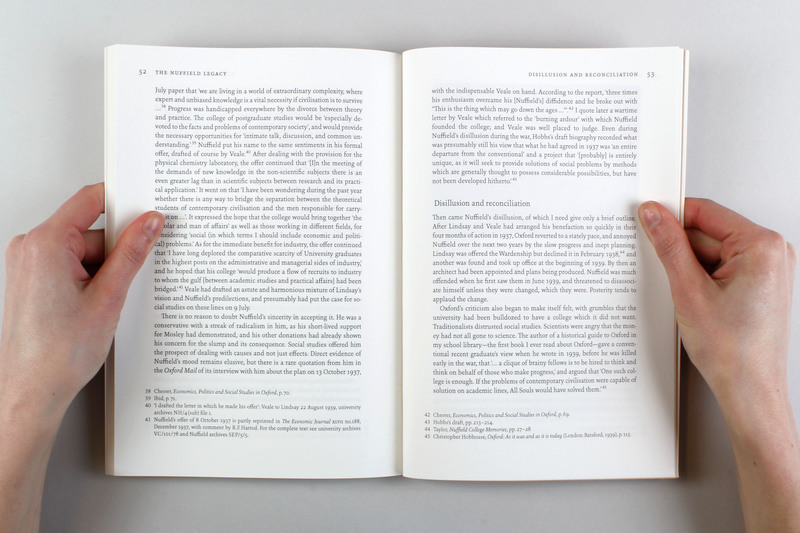 Sina Nova was chosen as a text face that was inviting to read and economical with space, whilst providing a warm contemporary edge; it also contained the advanced character set required by the text. 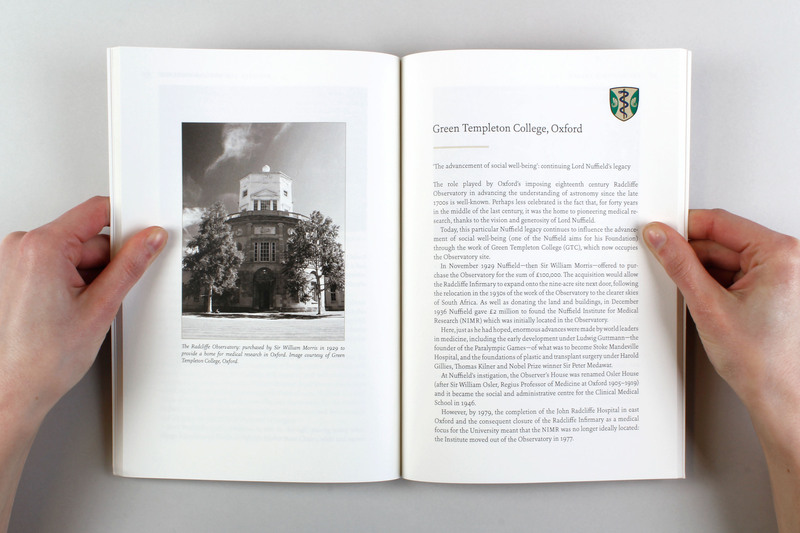 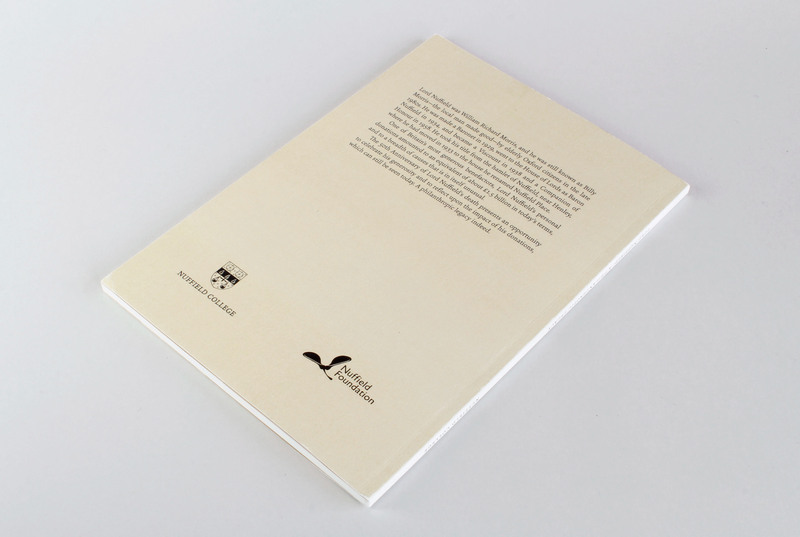 To compliment this, the paper stock—Olin Regular Natural White, 120 gsm / cover: 300gsm—provides a soft, glowing white surface for good reading contrast. 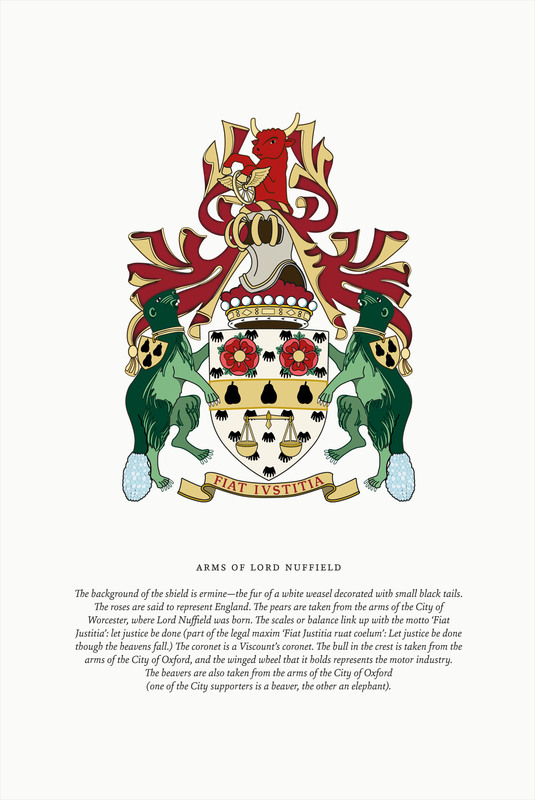 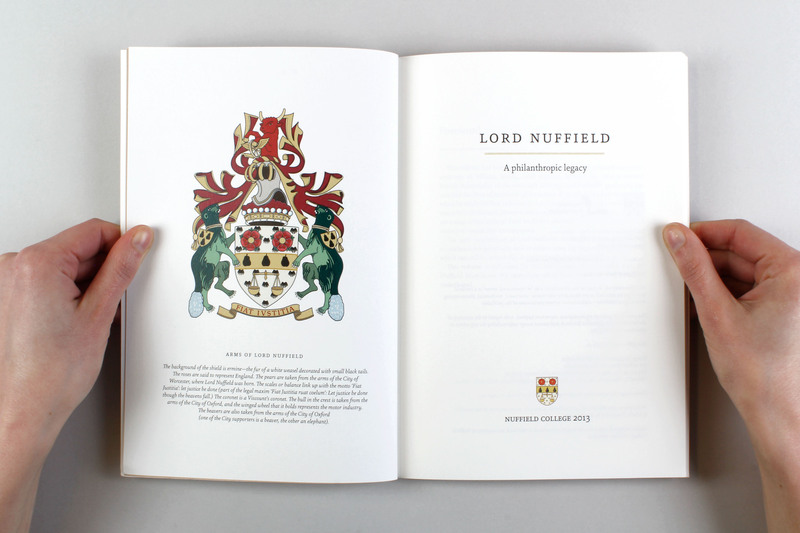 The illustration of the Nuffield Coat of Arms was drawn to compliment the title page and provide a confident dash of colour to open the book. 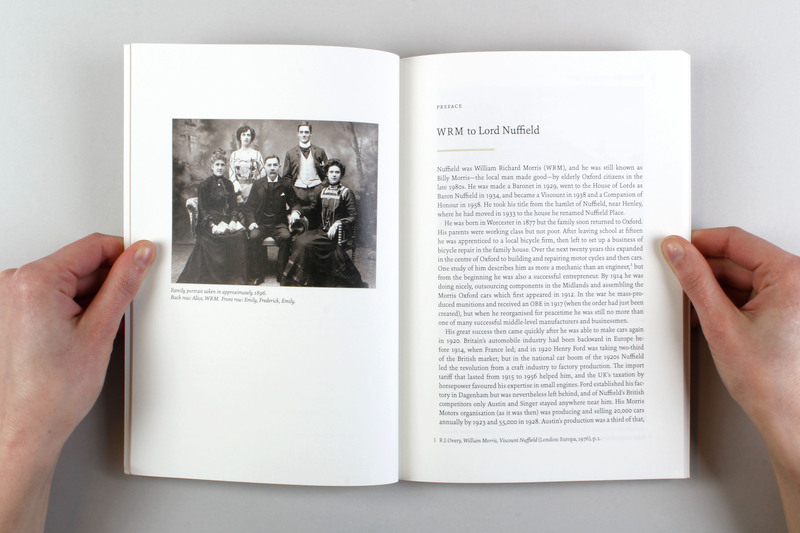 The photographs included in the text came from various time periods and sources; these all required careful retouching and re-colouring to keep an overall consistency in style throughout.